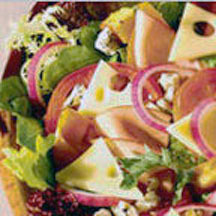 CooksRecipes has quality, kitchen-tested recipes for delicious salads featuring cheese as a main ingredient. 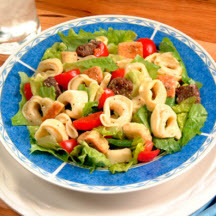 A creamy Caesar dressing perfectly complements the three cheese tortellini in this simple pasta salad. 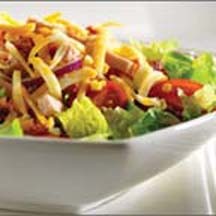 This low-fat version of the classic Cobb Salad is packed with satisfying nutrition and delicious flavor.